To start, just boot to the WS2008 DVD-ROM. 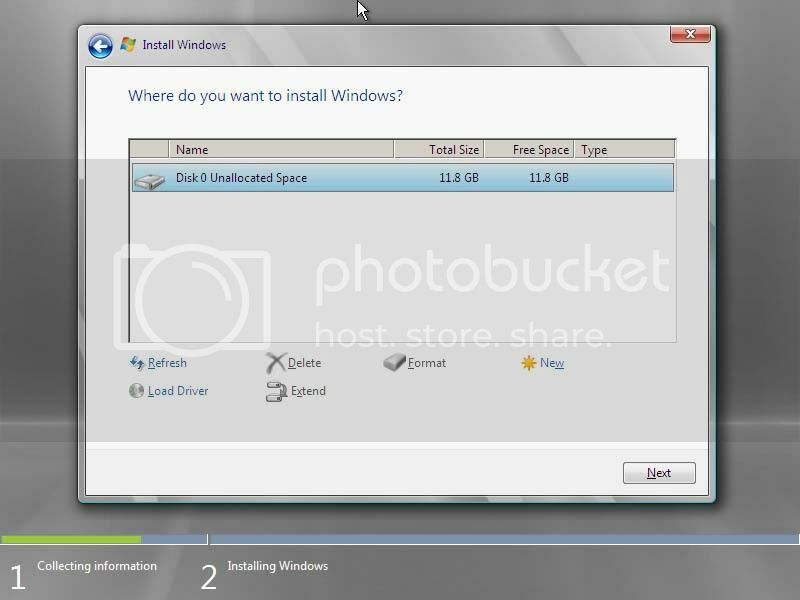 WS2008 image is 1.47GB in size and comes on a DVD, like Windows Vista. 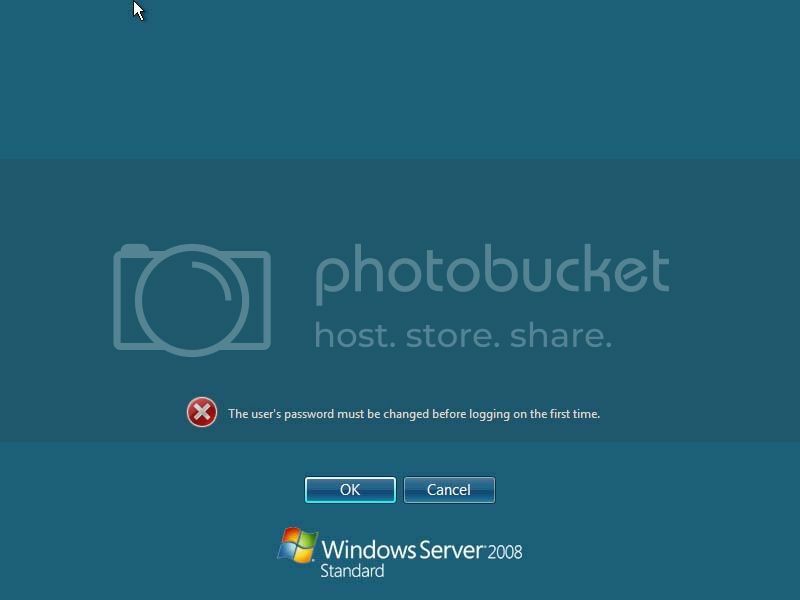 WS2008 setup is just like the setup for Windows Vista. One big difference is that WS2008 is much shorter than Windows Server 2003 setup. After the bootloader finishes an 'Install Windows' wizard will begin. Choose the appropriate options for language, time/currency and input locale, then click 'Next'. The wizard will start the install process after clicking 'Install Now' There are also options to find out more about WS2008, and repair an existing installation of WS2008. Microsoft got this step right out of the way. Believe it or not, a product key is not required here. If a product key is not entered WS2008 will run as a thirty day evaluation copy. 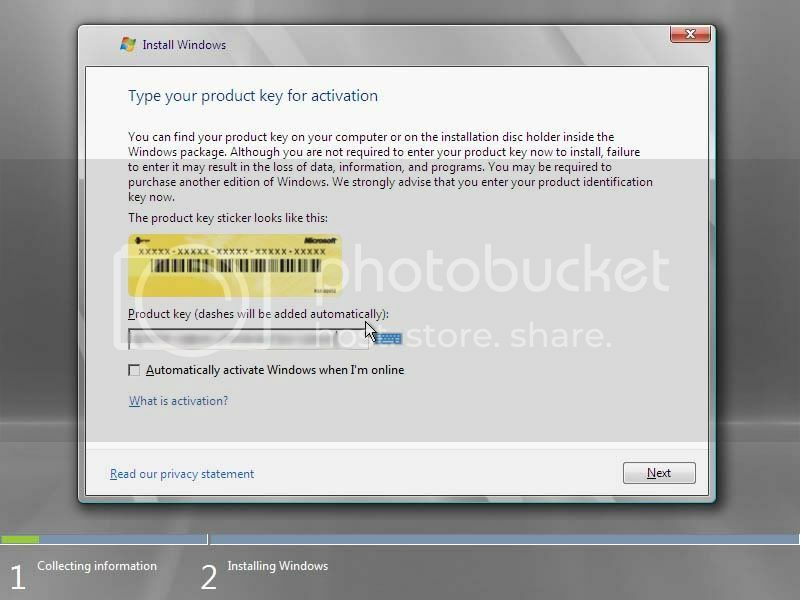 If you have a product key enter it here, but un check the box entitled 'Activate Windows when I am online'. I prefer to activate after the server is up and running to desired satisfaction. Of course, accept the EULA. It may be help to actually read the EULA in order to understand what you are agreeing. There are provisions to upgrade existing WS2003 installations to WS2008. The hard disk I am using is empty, so the upgrade option is not available. Setup will use all disks that are found on the computer. If the hard disks are not found an option to install device drivers is made available. Good-bye F6! RAID arrays are created before the Windows install process, and recognized as a single volume. The default is to use the entire amount of space on the first hard drive found. That is the option I will use here. 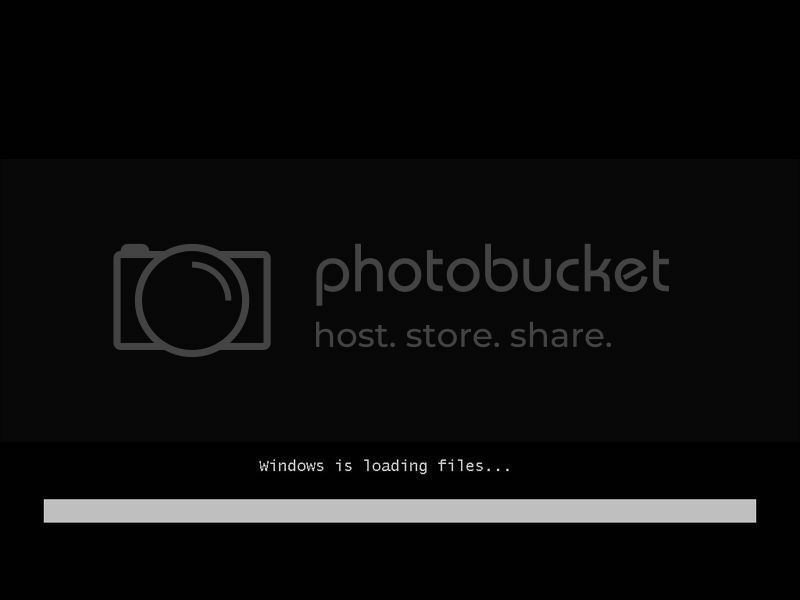 The NTFS file system is the only option available to install WS2008 upon. After all of the partitioning and formatting is decided, the actual installation begins. 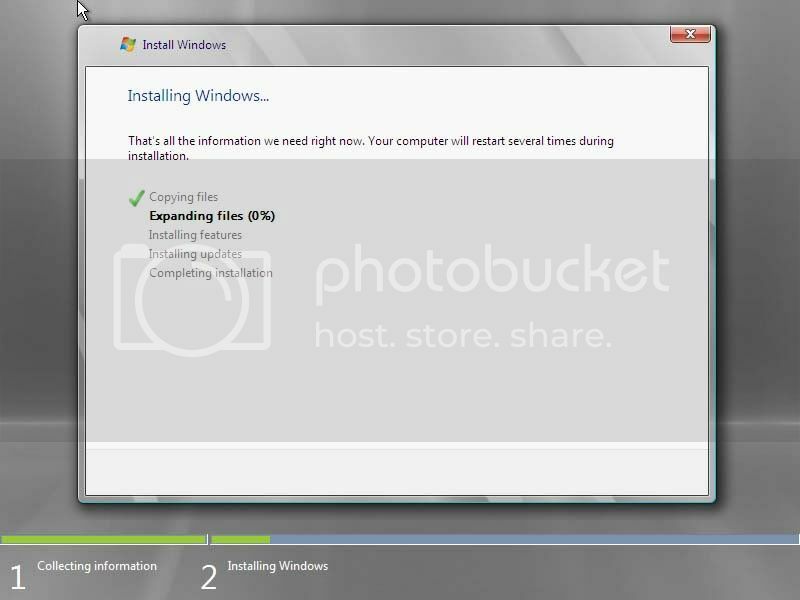 The complete time is rather quick due to the fewer steps and choices made available to the installing user(s). My example, being run in Parallels, took twenty minutes from start to finish. 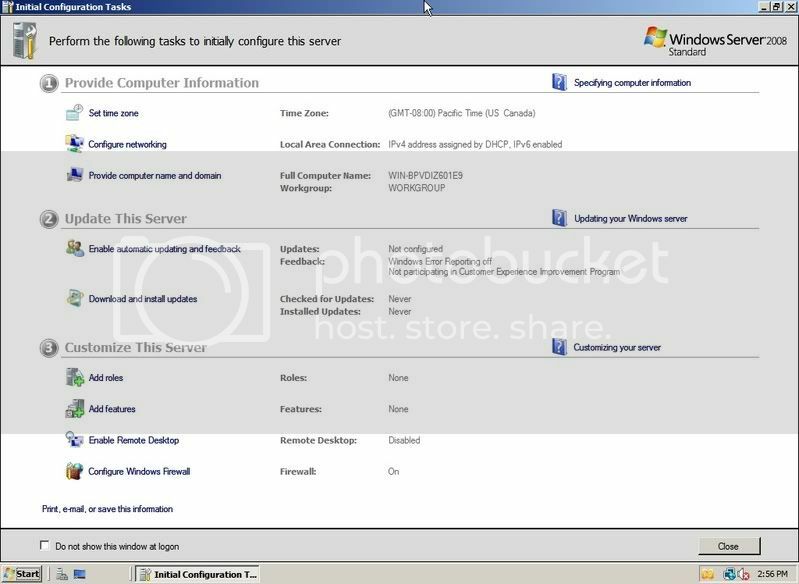 Notice the install process made no mention of the administrator account setup and configuration. 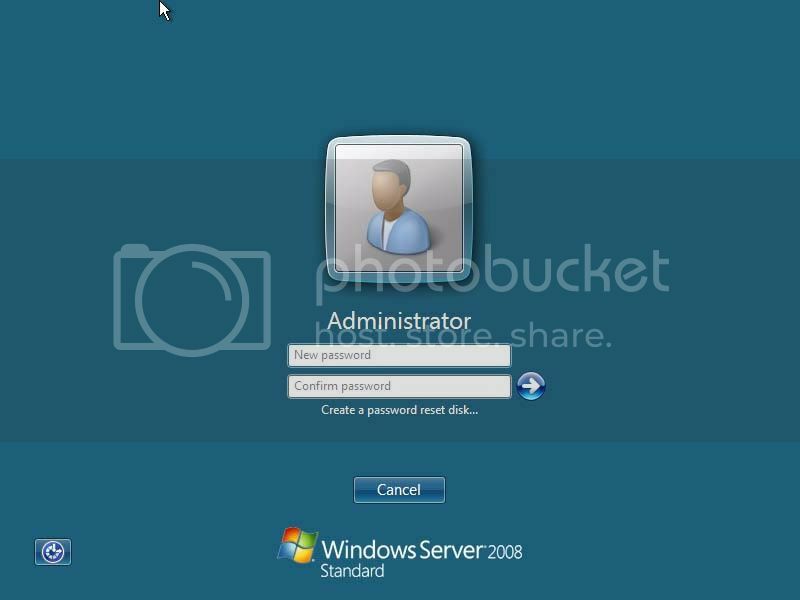 Administrator is handled next and started with resetting the password. Once that is all done, click OK and continue on to the desktop. The ubiquitous 'Ctrl+Alt+Delete' to log in is still with us. For those who may be using WS2008 in a Parallels virtual machine, 'fn+control+option+delete' will provide the same result from the Mac keyboard in Parallels. Voila! 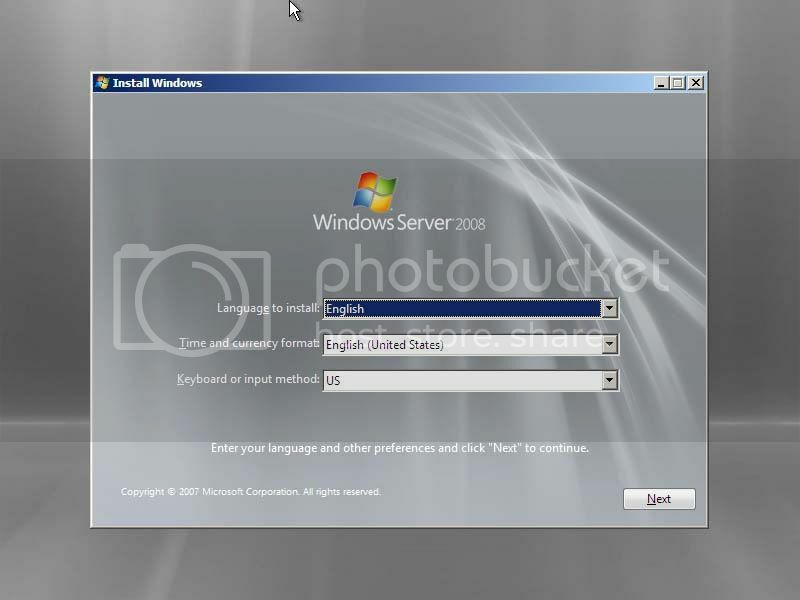 The WS2008 desktop is displayed, akin to Windows Vista with all of the eye-candy turned off . 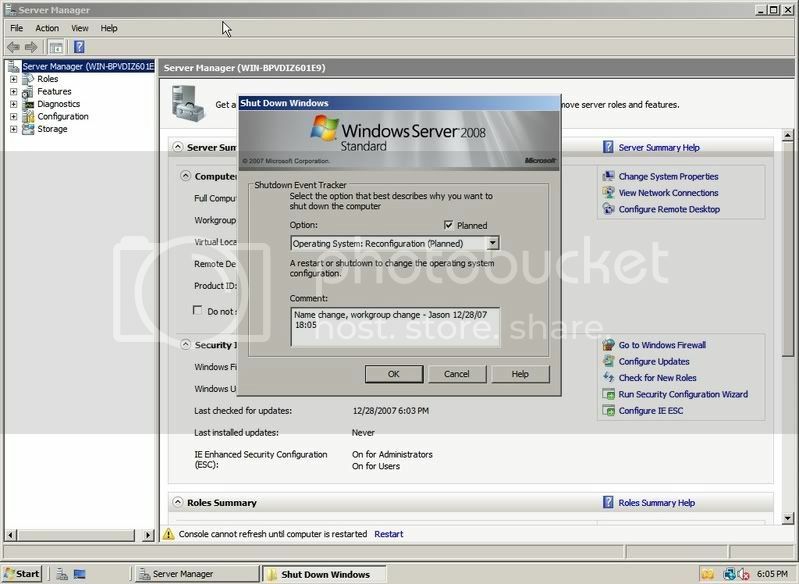 The WS2008 replacement for the 'Manage Your Server' window from WS2003 is now called the 'Initial Configuration Tasks' window. 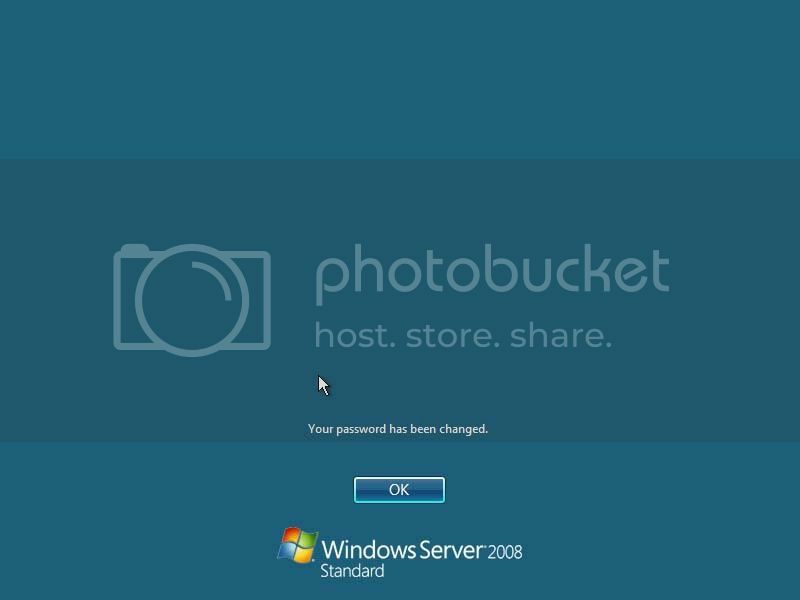 Unlike the WS2003 version, this version we do have to address and work through before we can start using our new WS2008 server. We must configure the time zone, IP information, and hostname/workgroup amongst other tasks. The page is brilliant, just click on the hyper-link next to the desired task and the correct configuration utility will appear. Configuring the proper time zone - Time is at the heart of all server operations on a modern Windows network. The correct date and time is used as the basis for all timed network operations. Configure the proper time and zone. Server name and workgroup/domain name - Setup did not ask for any server name or workgroup/domain name information, thus it MUST be configured now. 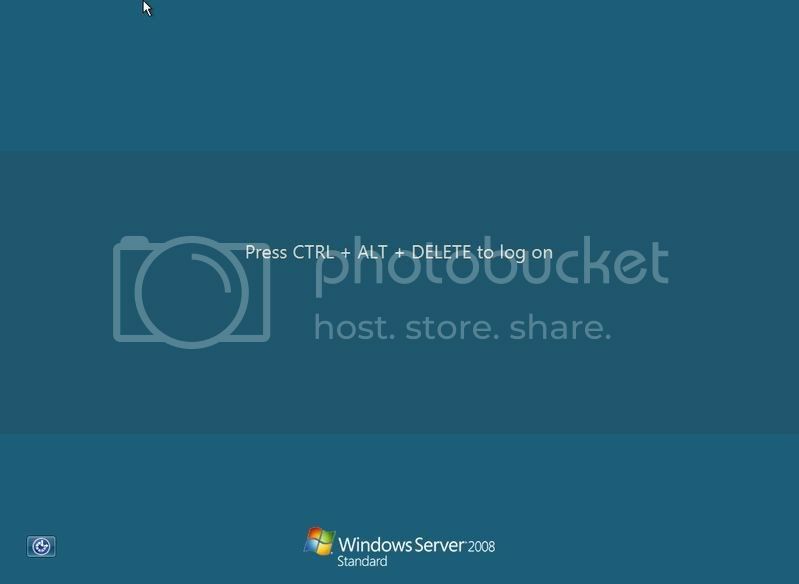 If the server will join an existing Active Directory domain, point the DNS configuration towards a DNS server/DC responsible for the target domain. All servers should have a static IP address, however my configuration was left with a DHCP-provided IP address. 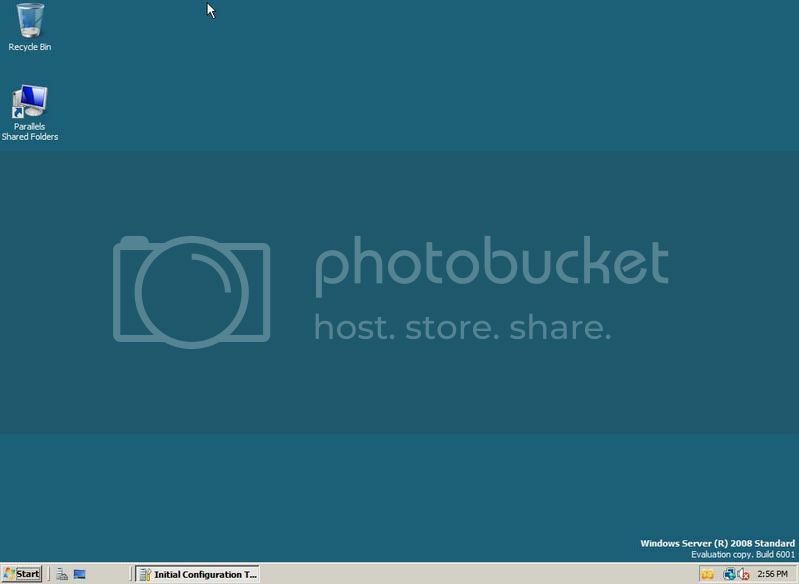 The example is a virtual machine running in a virtualization program called 'Parallels' and as such is meant for test/evaluation and not for production use. A reboot will be required following any modification to the server name and domain membership. Windows Update - Quite the staple in any Windows administrator's life is 'Patch tuesday' and Windows update. 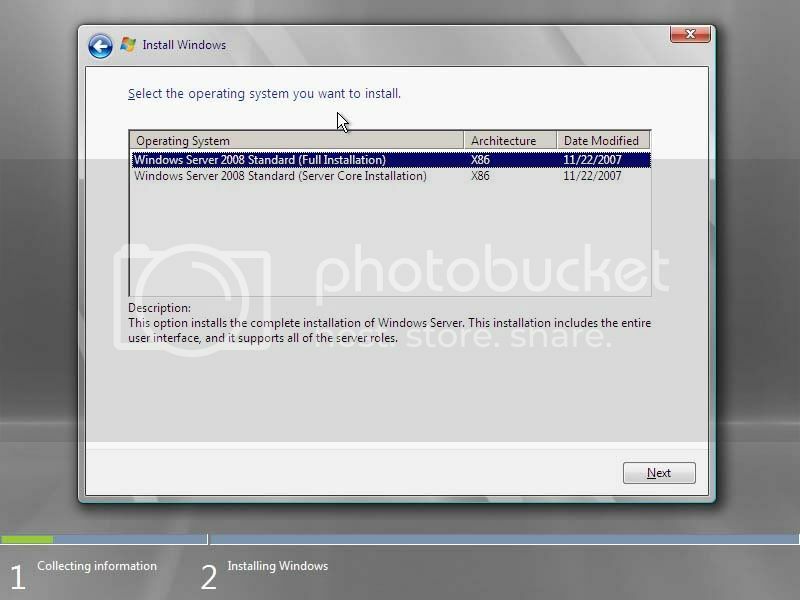 The default for WS2008 is to have updates automatically downloaded and installed on a regular basis. That makes me a bit nervous. I prefer to test and manually deploy updates to servers, so I will configure updates to be downloaded automatically, but NOT installed automatically. Updates - Let's wrap-up by checking for any lingering updates that may be out there. At the time of this writing, there are no updates for this release of WS2008. Reboot - Let's reboot the server to apply any changes we have affected. WS2008 also has a 'Shutdown Event Tracker' to categorize and provide context for the server's reboot. The data here is collected in the server's security log. I select the proper category, and provide an entered reason for the reboot along with my name, date and time. Servers are not like workstation and cannot be rebooted when necessary. Often, server updates along with reboots are scheduled weeks in advance and in notice to all users. That's it! We have a fresh new server install to bend and control at our whim. Enjoy!!! 2007 is almost history. What is the biggest tech story of the year? I have heard some suggestions either from blogs or podcasts, but the two main issues seem to be Windows Vista or the iPhone. The RIAA, and DRM is also a steady constant in the tech press. I would have to give story of the year to Windows Vista. Microsoft places more copies of Windows in user hands through PC sales than any other operating system vendor. Microsoft sees sales figures that Apple and Novell could dream of seeing. Add into that the hobbyists, gamers, and PC builders to the numbers of new Vista users and those figures go up and up. Windows Vista will impact more users this year and for many years on than the iPhone. What has Microsoft given us, the public? Windows Vista has numerous features that were designed to help improve the overall user experience. Whether or not it actually does that is up to whom you ask. The first mistake was the release of Vista is six different versions. Four of those versions are vailable for retail purchase through OEM or as a software box. There is really no need for six versions of any operating system. A professional and consumer version would have been just fine for most folks. Perhaps an a la carte approach to operating system features could have been better. The price is another issue, considering what the consumer gets for their money. Windows has always been very expensive when purchased as a retail box. The OEM copies one can get online do weigh the costs of a retail purchase, but the price is still ridiculous. Two hundred dollars for a full retail copy of Windows Vista Home Basic, ninety nine dollars for an OEM copy or retail version. The 'Home' versions of Windows Vista are really feature limitied. I cannot recommend them in any way, and the best way to get Vista is on a new computer. Microsoft gives the OEM PC manufacturers a big break on Windows, why should the consumer get in on that savings? The UI in Windows Vista is completely new, and much prettier. I hate the Windows XP interface, it look way too much like K-Mart. The first thing I do with XP is enable the Windows Classic theme and remove the 'Bliss' wallpaper. 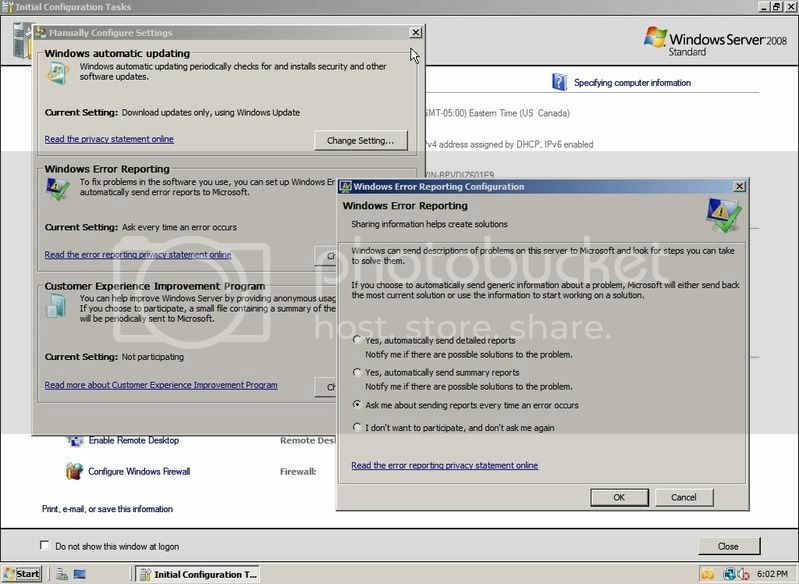 The biggest piece of aggravation in Vista is the User account Control (UAC). That prompt which asks you for a password, or to click 'continue' when attempting an administrative task. I think the security team took the course of design, because from a usability standpoint, the UAC doesn't work. I am the only one I know of who does not disable the UAC. 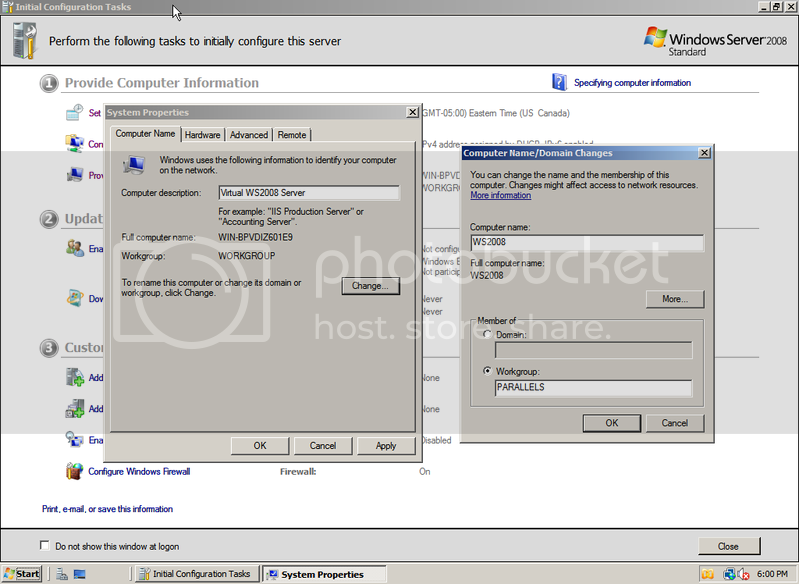 Disabling UAC, cuts the secure legs out from under Windows Vista all together. The Vista Start Menu does have an integrated search feature that does find items much faster than the useless Windows XP search tool. 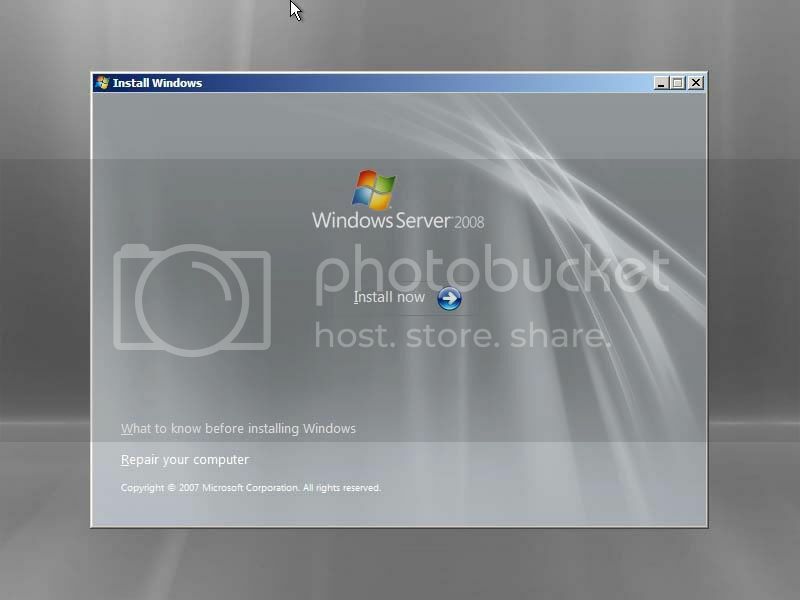 The business and ultimate editions of Windows Vista have an integrated version of the Windows Server 2003 'Shadow Copies' utilitiy. Shadow copies allow a user to recover a lost or deleted document from a previously made copy. The cost of Vista Business or Ultimate will pay for itself the first time this feature is used. Along with these new features comes a significant overhead in resource consumption. Vista NEEDS more RAM and CPU cycles. 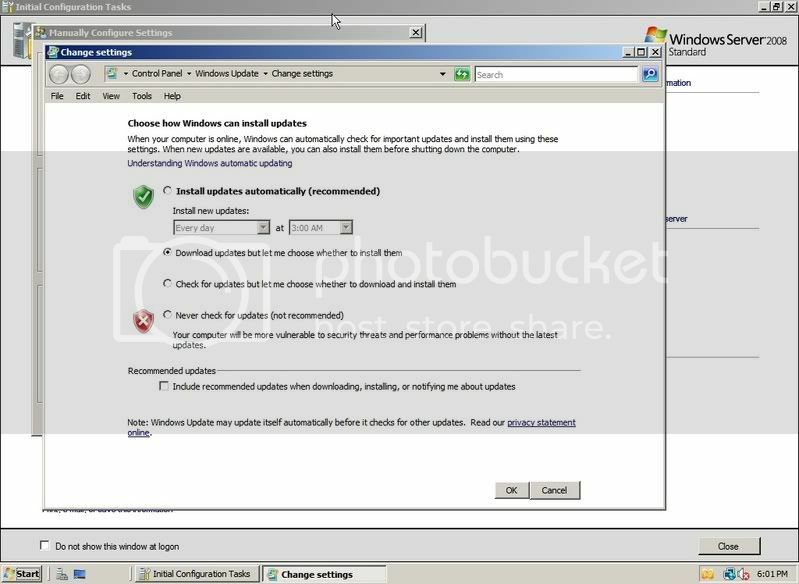 Older computers that are currently running Windows XP will most-likely need a hardware upgrade or two in order to run Vista satisfactorily. Microsoft has long since had a history of guiding the user's hardware requirements through software. Many will say Microsoft is in 'koohootz' with hardware OEMs to force users into buying new computers on a periodic basis. Others argue such is the progression of computer development. I would agree as such, but question the scope of the software's development. Aside of the few feature I mentioned above, Vista does not offer upgrading users any advantage over Windows XP. The 64-bit versions of Windows Vista are the most secure versions of Windows to date, but the security comes at a cost of practical unusability. Very little software and hardware is designed to work with the 64-bit versioons of Windows Vista. For now, 64-bit is the provence of hobbyists and bleeding-edge gamers. I believe through Windows Vista, Microsoft is seeding a new generation of users that will not adopt later versions of the operating system. Windows XP has found a new lease on life with scores of frustrated Vista users 'downgrading' en masse in an attempt to get existing hardware/software to work. This may not all be Vista's fault, but a factor of in-experienced users not properly working out the potential issues with upgrading. Mac OS X 'Tiger' users are feeling the same heat with the current upgrades to OS X 'Leopard' . Another idea I have is that Microsoft has no clue of what their consumers want. I could be totally be wrong , and Microsoft just does not care. 'Design be Committee' seems to be how products become finalized in Redmond. Look at the Microsoft Zune, version one of the product absolutley stunk. Future iterations of the Zune look to be improved and closer to the mark. Maybe Windows 7, Vista's scheduled successor, will be just a closer. With all of the coming & going of the season I get to see some great stuff in my travels. One thing I would really like, but in no way need, is an iPod Touch. The 'iTouch' is really cool, but I have an iPhone, so there is no need for the touch. Dislikes - I have moved my OS X 10.5 install to an iMac 17" with 1GB of RAM, and a Core 2 Duo processor. I certainly do not recommend running Leopard on a non-Intel Mac. One thing that completely blew me away was the lack of support for my Apple wireless keyboard. I bought the new Apple wireless keyboard, and use it with my MacBook Pro. My Mac Mini uses the older series wireless keyboard without any problems. What gives with Leopard? I let it sit there for thirty minutes, trying to connect, before I gave up on it. The wireless network at work uses 802.1X security to encrypt the signal. The setup is great under Tiger, with it's built-in 802.1X support. 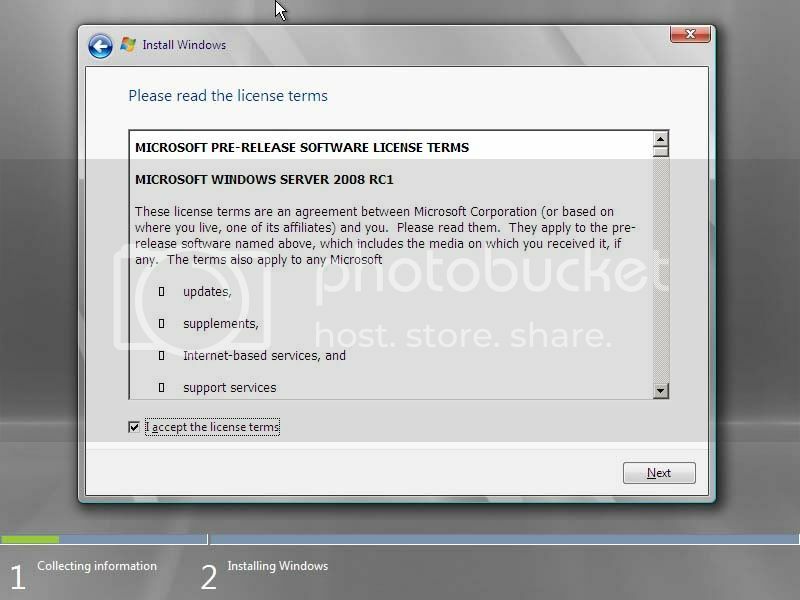 Windows XP/Vista require a third party software package to even connect. At this rate I can get Ubuntu to connect to the wireless network faster and more efficiently. Once I do get Leopard connected, the connection is short-lived. Upon reboot, the connection and all of it's settings are gone. Worse, one new feature designed to authenticate the user through 802.1X, takes all precedence over server-based authentication. The new dock is not as irratating to me as it is to some others, but I can see their complaints. The 'white glow' that has replaced the balck arrow under a running application makes it difficult to see which applications are actually running. 'Stacks' completely stinks. Except, I was able to make my normal applications folder on the dock. With stacks the folder opens a neat little list of all applications rather tha nopening up the folder in the finder. Likes - Time Machine backup is nice, at least better than the backup program Tiger shipped with. Sharing resources with Leopard is much more refined and laden with options. There are significant improvements to parental controls as well. Leopard needs some time to cook... It will come on my next Mac, and I'll deal with it then. For now, my MacBook Pro and Mac Mini will operate with Tiger. My desktop at work still runs Tiger's predecessor, 'Panther'. I like this small-little OS. Fluxbox is very basic, but provides a great avenue for customizing.